10) What Do I Know? 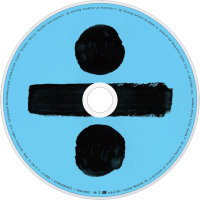 ÷ (pronounced "divide") is the third studio album by English singer-songwriter Ed Sheeran. It was released on 3 March 2017 through Asylum Records and Atlantic Records. "Castle on the Hill" and "Shape of You" were released as the album's lead singles on 6 January 2017. On 13 December 2015, Sheeran announced a self-imposed hiatus from social media, commenting that he found himself "seeing the world through a screen and not my eyes." He further ensured that some of this time would be spent creating his third album, which he considered "the best thing I have made thus far." 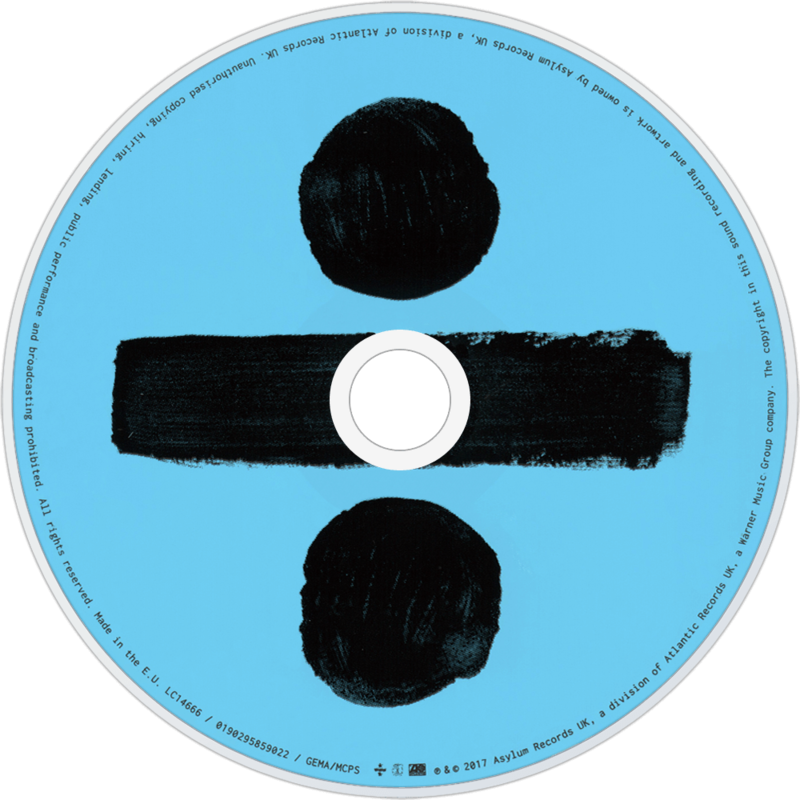 Exactly one year after this announcement, on 13 December 2016, Sheeran's various social media platforms posted pictures of a blank blue square to state his imminent return to music. On 1 January 2017, Sheeran officially ended his hiatus by announcing that "new music" would be released on 6 January. 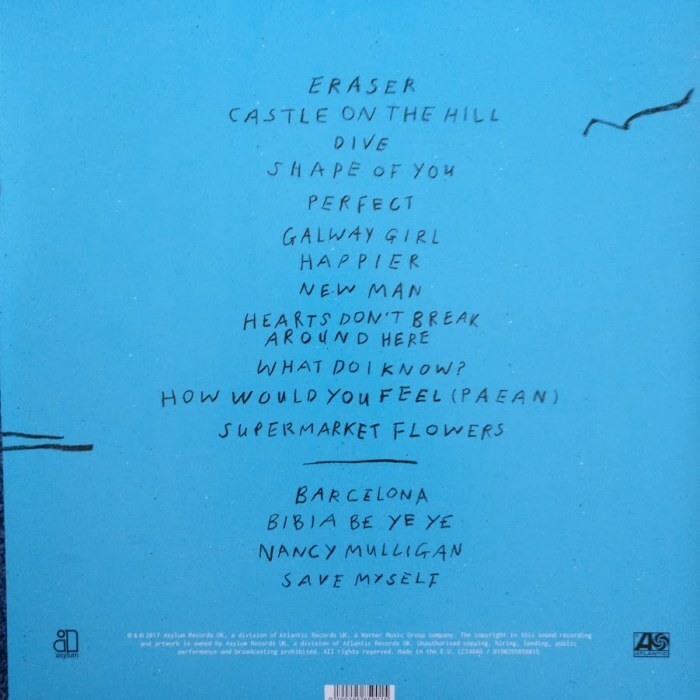 On 12 January 2017, Sheeran revealed the track list and the release date for the album. The album ÷ received mostly positive reviews from critics. Harriet Gibsone of The Guardian gave the album a negative two-star rating out of five, calling it "no less calculating than his peers at the very top level of pop stardom". 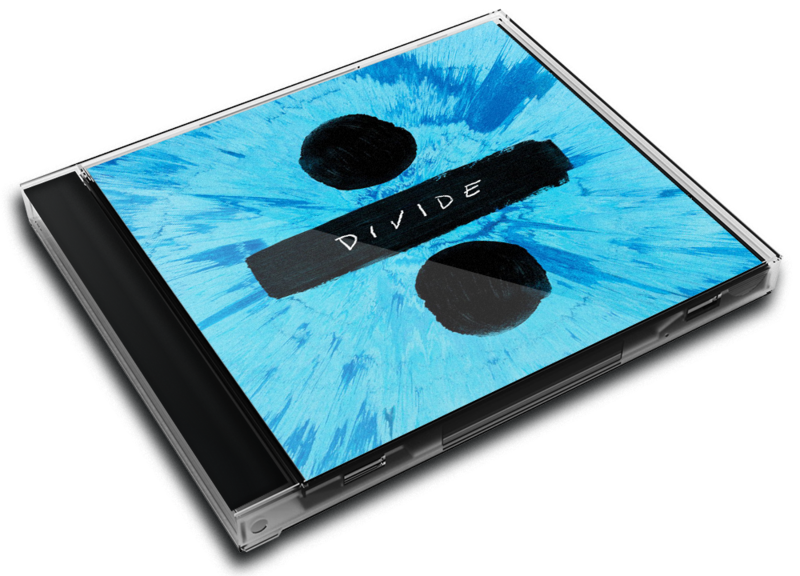 Roisin O'Connor of The Independent gave it a four-star rating, claiming " leans on little asides from Sheeran's own talent" and that it was "astonishing for its sheer ambition alone". After commenting on the album's "missteps," Mark Kennedy of the Associated Press said that it "is certain to add listeners, subtract a few weary of his inconsistency, but definitely multiply his bank account," and ultimately called Sheeran "a special talent." The album sold 232,000 physical and digital copies in the UK in its first day of release without the inclusion of streaming data, more than the sales of Sheeran's previous album x in its first week. The tracks of the album also achieved a total of 56.73 million streams worldwide on Spotify in a single day, breaking the previous record of 29 million for Starboy by The Weeknd in November 2016. In total, all tracks by Sheeran were streamed 68.7 million times that day, breaking the previous record of 40.3 million streams of The Weeknd, with the single from ÷ "Shape of You" receiving 10.12 million streams, itself another record. "Castle on the Hill" and "Shape of You", the album's lead singles, were issued on 6 January 2017. Sheeran teased the tracks on social media during the week leading up to their release, posting instrumental extracts and each song's opening lyric. ÷ has been given a Metacritic score of 62 based on 17 reviews, indicating "generally favorable reviews". Martin Townsend of the Daily Express gave a highly positive five-star review, calling it "Ed's strongest collection to date" and "a shimmering and magical record" and also said "Ed does the toughest thing in pop music disarmingly well, he writes and performs songs which are rooted winningly in smalltown everyday life but which strike a universal chord." 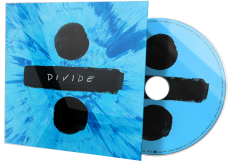 Maura Johnston of Rolling Stone gave a four-star review, commenting that "Ed is still showcasing pop savvy on Divide" and going on to say that he "doubles down on the blend of hip-hop bravado and everyday-bloke songwriting that helped him break out at the turn of the decade." Roisin O'Connor of The Independent also gave the album a four-star rating, claiming "[the album] leans on little asides from Sheeran's own talent" and that it was "astonishing for its sheer ambition alone". Jordan Bassett of NME described the album as "a collection that, somehow, adheres to his perfect pop template... while also being quietly weird", and that the album is "likeable", "assured but unassuming and sometimes hard to fathom". Mark Kennedy of the Associated Press, after commenting on the album's "missteps", said that it "is certain to add listeners, subtract a few weary of his inconsistency, but definitely multiply his bank account," and ultimately called Sheeran "a special talent." Some reviews were unfavourable; Harriet Gibsone of The Guardian gave the album a two-star rating out of five, calling it "no less calculating than his peers at the very top level of pop stardom". In a negative review of 2.8 out of 10, Laura Snapes of Pitchfork stated: "considering he [Sheeran] is among the most successful songwriters in the world, a lot of his lyrics do not even scan." In another negative review, writing for Drowned in Sound, David Hillier gave ÷ a 3/10 rating, calling it "the most anodyne and bland pop album possible."